On the daily chart, the downward movement was corrected, the instrument reached the lower border of the Bollinger band, and then slowed down. MACD histogram is in the negative area, its volumes are minimal, the signal line is prepared to cross the zero line downwards, after which a signal to open short positions will be received. 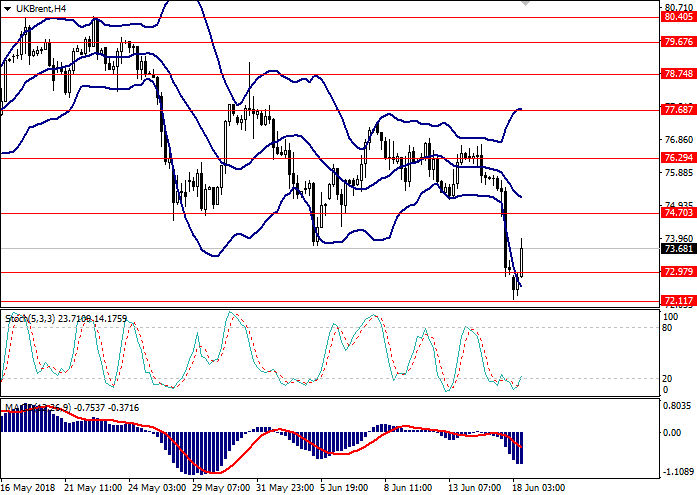 Stochastic moves towards the border of the oversold area, the oscillator lines are directed downward. On the 4-hour chart, the downward movement is in the correction, too. 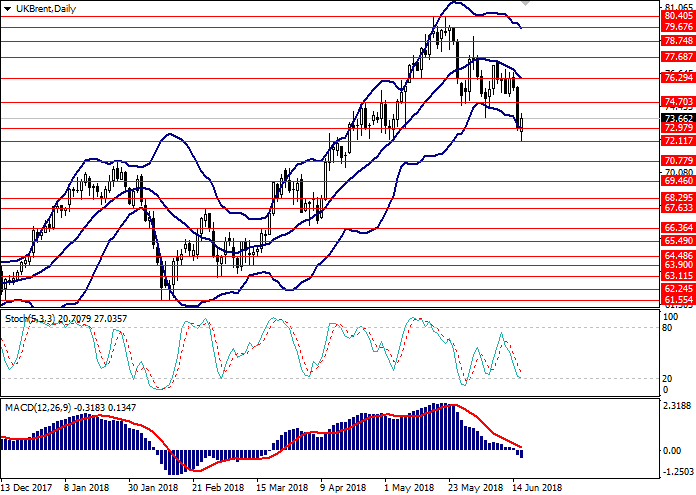 The instrument is trading between the middle line and the lower border of Bollinger bands, the price range is widened, which indicates a probable resumption of price reduction. MACD histogram is in the negative area, its volumes are gradually increasing, the signal line crosses the histogram body downwards, forming a signal for the opening of short positions. Stochastic is in the oversold area, the signal line moves horizontally. Resistance levels: 74.70, 76.29, 77.68, 78.74, 79.67, 80.40. Short positions can be opened from the level of 72.00 with the target at 70.80 and stop loss 72.50. Long positions can be opened at the level of 76.80 with the target at 78.80. Stop loss is 77.30.